We are a family owned and operated private campground located on a hillside in Bollinger County, Missouri. We have 38 drive-thru RV lots with water, electric and sewer hookups. Tent & Pop-up's can pick a spot on the hillside and enjoy the lakeside view. The camping area is primitive camping with no electric or water to the sites. We have clean showers & restrooms, card room, laundry room at the pavilion. You can fill containers and carry water from our pavilion. Our picnic area with the Pavilion can be reserved. Please call for rates. March 16th & 17th Pre 1840 Eastern Mo Ozark Rendezvous - Click here to grab more info at the Crazy Crow Trading Post. 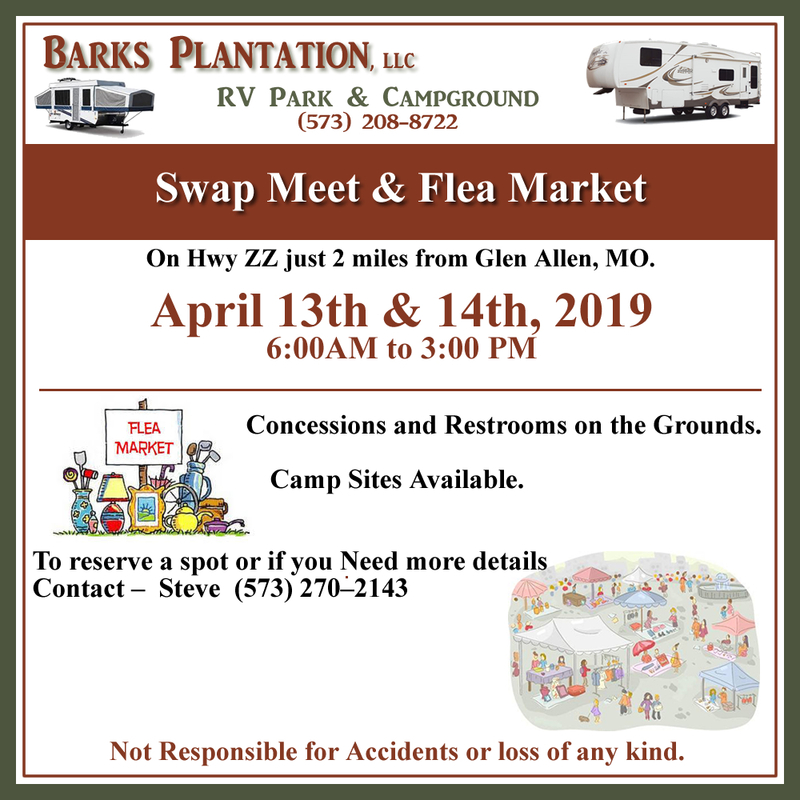 April 13th & 14th Swap Meet & Flea Market will be from 6:00am to 3:00pm. Concessions / Camping spots for lots of room for your stuff. No Animals. To reserve a spot contact Steve at (573) 270-2143. 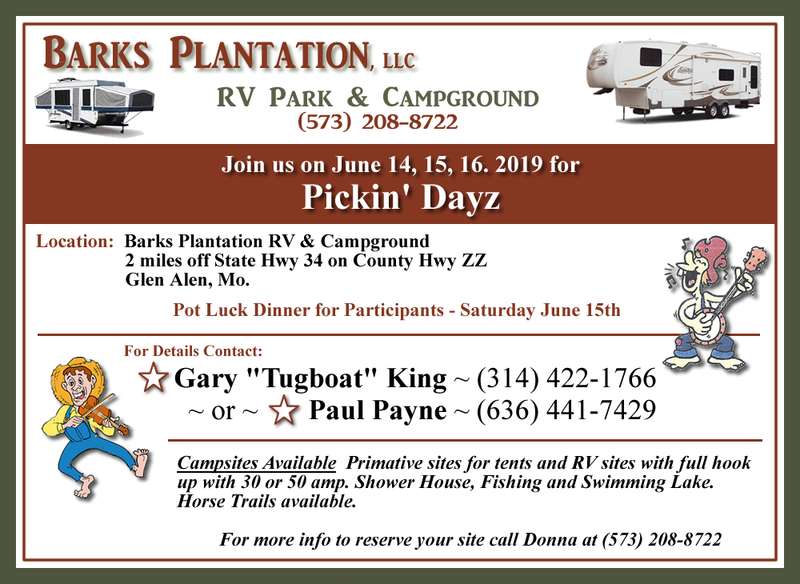 June 14th - 16th Bluegrass "Pickin Dayz" will be from 11:00 am to ???. Bring ur instrument and join in.